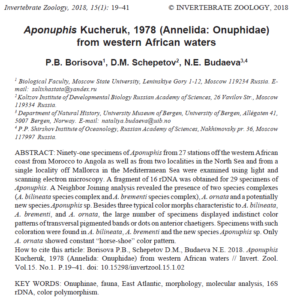 We congratulate our guest student Polina from Moscow State University with her first publication based on studies of the MIWA material in our collections. 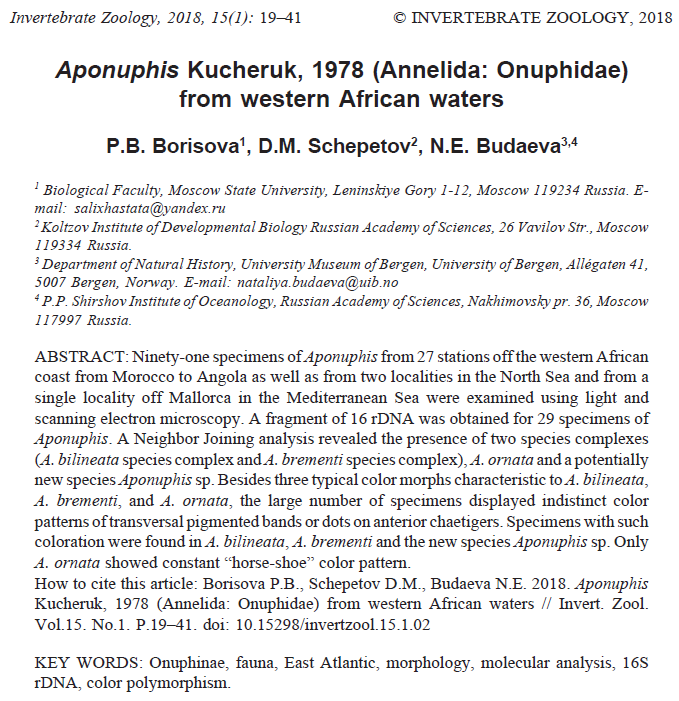 The paper describes species complexes of the genus Aponuphis from the West Afircan coast and analyses their relationships from mitochondrial sequences. This entry was posted in Guests, MIWA, Polychaeta, student projects, Uncategorized on April 10, 2018 by EW.